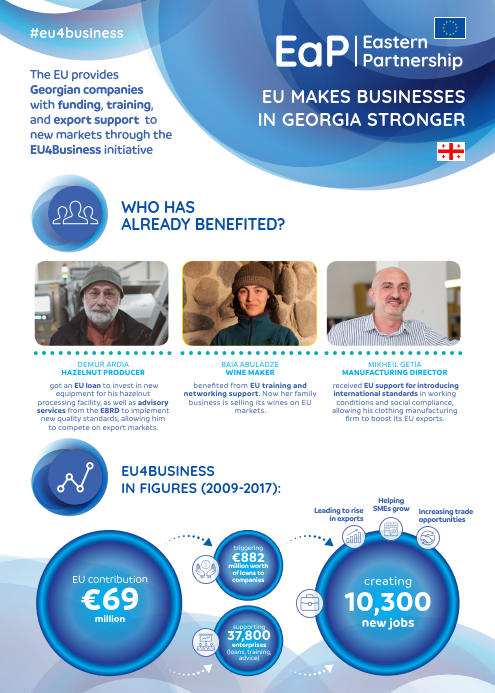 This factsheet presents the EU's efforts in supporting small and medium-sized enterprises (SMEs) in Georgia. It focuses on tangible results of EU's support streamlined through its EU4Business Initiative. The factsheet is available in English and Georgian.